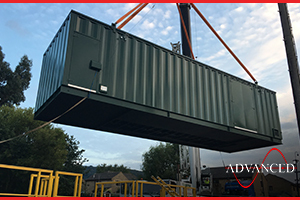 This ADVANCED designed & built Bespoke Acoustic Canopy houses a stage 5 emissions compliant JCB engine which will power a system to run cables from the UK to mainland Europe. 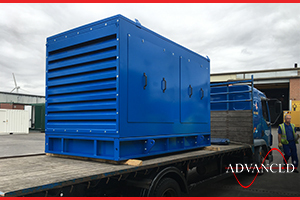 Another ADVANCED designed & built Switchgear Enclosure leaves the works to be integrated into the National Power Grid near Leeds in the UK. 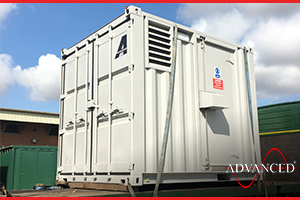 This extra-long run 50 kVA Perkins Diesel Generator, enclosed in an anti-theft container, will provide backup power to a mains gas pumping station near Hull in the UK. 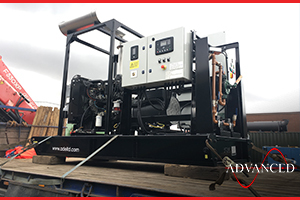 Another Bespoke Telecoms Diesel Generator leaves the works heading for an exchange near Rye in the UK.